On this episode we discus the topic of inviting a brewery on the show. The snobs then blind reviewed Lemon Stiegl Radler and Hangar 24 Brewery Orange Wheat. 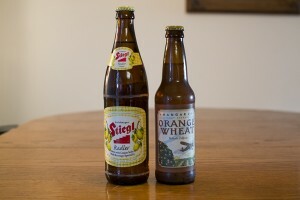 Posted in Blind Taste Testing (2011 - 2013) and tagged Brewers on a Show, Hangar 24 Brewery, Orange Wheat, Radler, session beer, session show, Stiegl.